The benefits of relaxation and meditation have been documented to slow the heart rate, lower blood pressure, reduce muscle tension and pain, increase the immune system, lower cortisol and so much more. By decreasing the effects of stress on the mind and the body, we will aim to add quality to our daily experience. Come and explore different relaxation and meditation techniques. Hopefully you will find one or more to integrate into your life. It is anticipated that Group members will attend just one block of sessions. 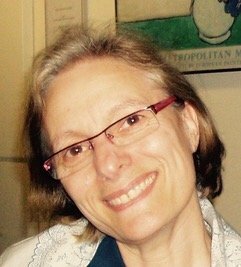 Carmela Turchiarelli is a qualified aromatherapist since 1991, a Reiki practitioner and a Pilates instructor since 2004 and an accredited UK healing practitioner, 2012-2017.